Chandrapur Constituency Assembly Elections Result 2018: Congress' Ram Kumar Yadav has won the rat-race against BJP's Sanyogita Singh Judev in this constituency. Chandrapur is one of the 90 assembly constituencies in Chhattisgarh. Sanyukta Singh Judev and Ram Kumar Yadav are the two political heavyweights in the constituency. Chandrapur Constituency Assembly Elections Result 2018: Congress’ representative Ram Kumar Yadav has defeated rival party BJP’s Sanyogita Singh Judev to win the seat. Chandrapur, which is one of the 90 assembly constituencies in the state of Chhattisgarh is a part of the Janjgir-Champa district. 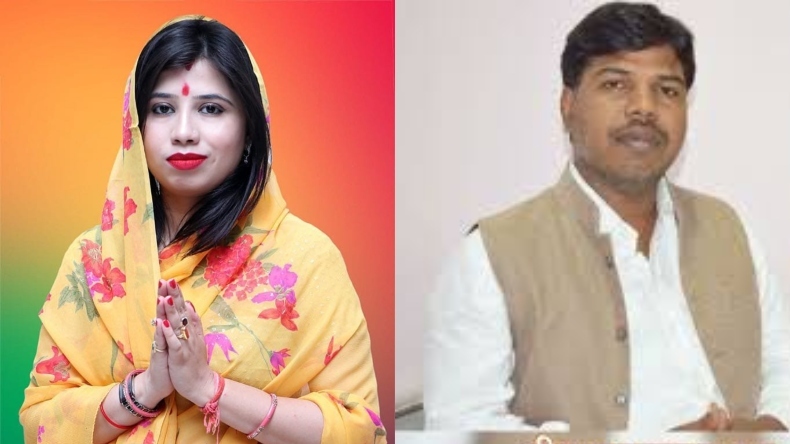 The Bharatiya Janata Party is fielding two-time BJP MLA from Chandrapur Yudhvir Singh Judev’s wife Bahurani Sanyogita Singh Judev from the seat for the upcoming assembly polls. The Indian National Congress has given a ticket to Ram Kumar Yadav from the assembly. Bahujan Samaj Party and Aam Aadmi Party have given a ticket to Gitanjali Patel and Bhanu Prakash Chandra respectively. In the 2013 assembly elections Bharatiya Janata Party’s Yudhvir Singh Judev with 51,295 votes had defeated Bahujan Samaj Party’s Ram Kumar Yadav (who is now contesting from the same constituency as a Congress candidate) who got 45,078 votes by a margin of 6,217 votes. In the 2013 assembly elections Bharatiya Janata Party’s Yudhvir Singh Judev with 51,295 votes had defeated Bahujan Samaj Party’s Ram Kumar Yadav (who is now contesting from the same constituency as a Congress candidate) who got 45,078 votes by a margin of 6,217 votes. The voter turnout was 77.52%. It is a general constituency. Chandrapur lies on the confluence of the rivers Maand, Laal and Mahanadi and is the place where the famous Chandrahasini Devi Temple is situated. The town is mainly dependent on tourism as the main form of occupation for the inhabitants. In the previous assembly polls, the voter turnout in the constituency was 1,50,329 out of which there were 98,969 male and 94,952 female voters. These assembly elections are a prelude to the upcoming General Elections 2019 and all the parties have fielded popular faces as their candidates. BJP candidate from the constituency, Sanyogita Singh, is one of the most popular female leaders in the area. Ram Kumar Yadav who is the face of Congress is another political heavyweight in the constituency. The counting has concluded and the people have chosen their leader.